With its flat folding feature, you can easily put your LEVIT8 portable standing desk in your bag and take it anywhere with you. When setting it up, you will get a comfortable platform for work. The LEVIT8 is an innovative and practical portable standing desk that comes in three sizes to fit different users. As we can see from the images, the portable standing desk looks like being inspired by origami, and when folded, it’s slightly slimmer than MacBook Air. 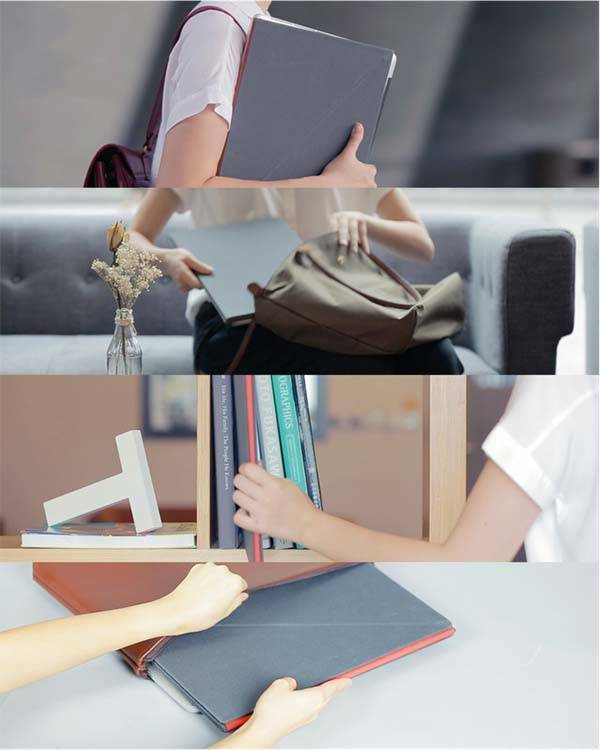 If you choose S or M-sized LEVIT8, you can easily slip it into your bag, laptop case or shelf. The portable standing desk is made of a single loop of 8 triangular panels. 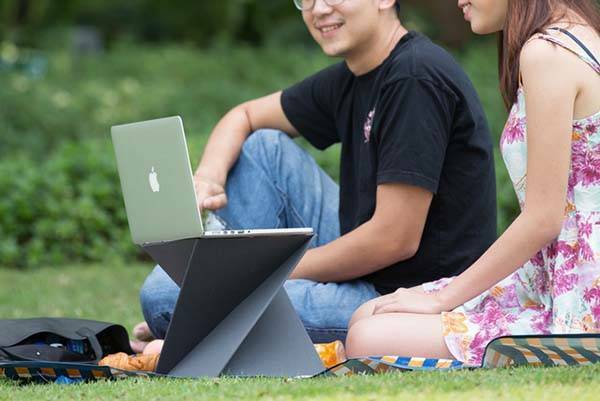 Using its unique box-spiral folding mechanism, the LEVIT8 delivers you an ergonomic platform to hold your laptop, and its sturdy construction even allows it to hold more than 20 time its own weight, so you can freely switch between sitting and standing for a more health way of working. 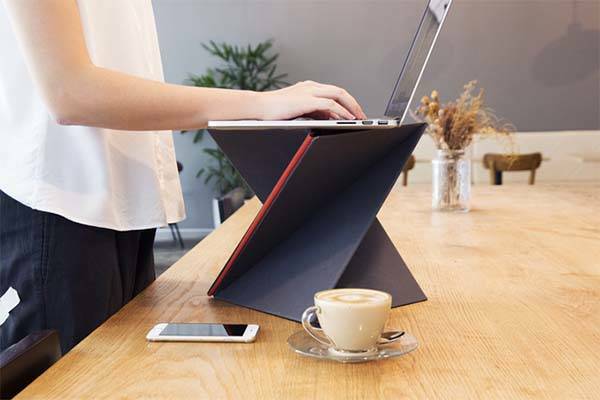 In addition, the portable standing desk is crafted from especially tough fabric for a durable construction, and water-repellent and stain-proof surface makes it survive your coffee spills. And LEVIT8 also works as a temporary folder or magazine holder. LEVIT8 has been available for preorder on Kickstarter. You can pledge $32 to own the flat folding portable standing desk. It will be shipped in June next year. BTW, also don’t miss Perch wooden sit-to-stand desk and more related cool stuff by following tags.